We recently returned from a week long work trip in southern Spain, where we got the opportunity to provide our services for Abbott. We did some live-streaming, photography, videography, and I headed up the app-integration for live polling and audience questions. It was a success, and as always, a great learning experience! 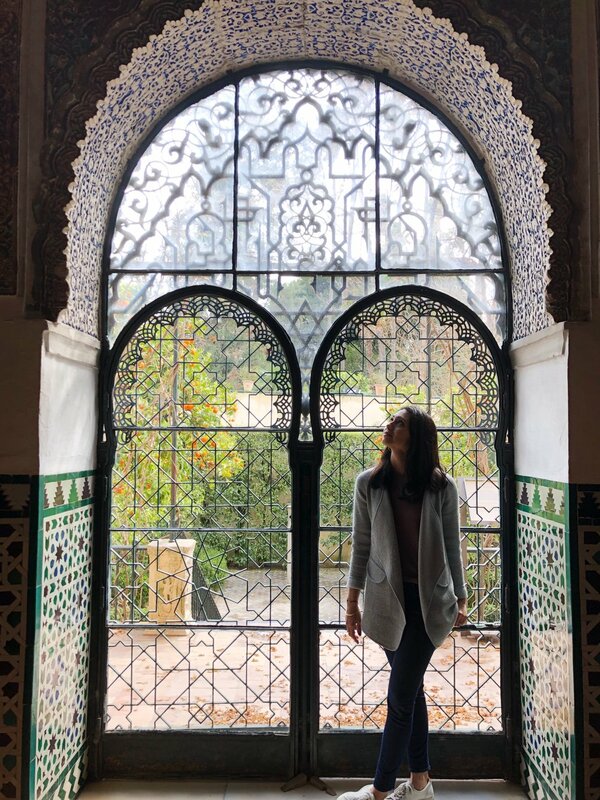 I feel like there’s no better place for inspiration than southern Spain - the architecture, colors, melding of cultures, the food, the people…it was unlike any place I’ve been to yet in Europe. All 5 senses were in full swing! The Muslim/Christian history made for some amazing architecture - I have to say, the Alcazar in Seville was my favorite. It was designed in Mudéjar style, which I found to be completely stunning. The use of pattern and color in the tile was so impressive - definitely a designer’s paradise! Recommend visiting this palace if you’re in Seville. Current favorite brand: Madewell. Always loved their branding, but a favorite right now since Spring is coming and I’m ready to ditch the sweaters! Current Obsession: Just learned Sketch - I’m mad I went so long without it! Currently on the docket: Wrapping up a logo design for Chicago School of Musical Arts; starting work for a new website client - a chiropractic office in Chicago; and about to jump in to logistics for a conference coming up in Glasgow, Scotland.